Lamborghini has launched the Veneno Roadster on the Italian naval aircraft carrier Nave Cavour at a special event in Abu Dhabi. The extreme road car now comes without a roof for the first time, and the model concludes the company’s 50th anniversary celebrations. It’s powered by the same engine as the Aventador LP700-4, albeit with a dose of extra power and resulting tweaks to the pushrod suspension, permanent all-wheel drive and seven-speed ISR paddleshift gearbox. Lamborghini says the Veneno Roadster has no roof — not even a fabric top. It is “fully road legal,” said the Italian automaker. Like the hardtop version, the Veneno Roadster gets a 6.5-liter V12 engine that churns out 750 horsepower. The engine is mated to a seven-speed “IRS” transmission. The car features permanent all-wheel drive with a pushrod suspension. The roadster version has a top speed of 221 mph. 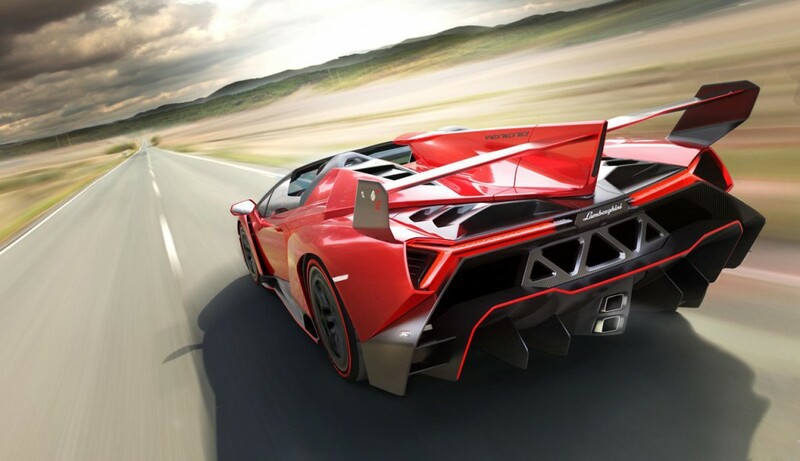 Production of the Veneno Roadster will begin in 2014 and sold at a price of €3.3 million Euros (US$5.3 million).